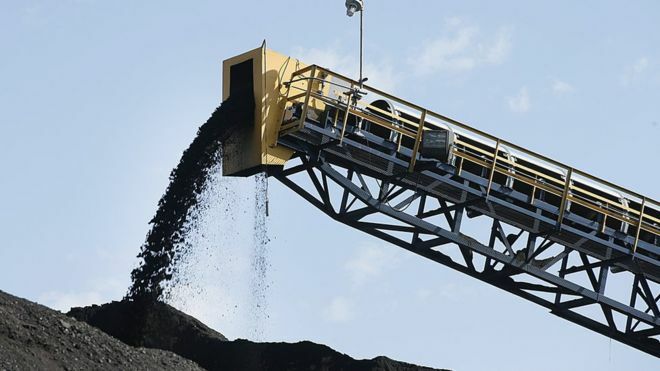 British-Australian mining giant Rio Tinto and two of its former executives have been charged with fraud in the US, accused of hiding losses by inflating the value of African coal assets. It bought the Mozambique assets in 2011 for $3.7bn (£2.8bn) and sold them a few years later for $50m. The mining company has said it will "vigorously defend" the charges. The firm was also fined £27m by UK authorities for breaching disclosure rules over the African coal purchase. Both the US and UK actions relate to the Mozambique investment made by the mining firm six years ago. A lawsuit filed in the US accuses Rio Tinto, its former chief executive Thomas Albanese and ex-chief financial officer Guy Elliott of failing to follow accounting standards and company policies to accurately value and record the assets. 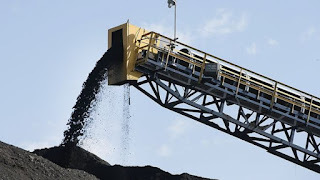 The US Securities and Exchange Commission argues that soon after the deal was completed, Rio Tinto learned that the projects would produce less coal, and of a lower quality, than expected. "Rio Tinto's top executives allegedly breached their disclosure obligations and corporate duties by hiding from their board, auditor, and investors the crucial fact that a multi-billion dollar transaction was a failure," SEC Enforcement Division co-director Stephanie Avakian said in a statement. By making misleading claims the Anglo-Australian miner - one of the world's largest - was able to raise $5.5bn from US investors, the SEC said. Rio Tinto said it "intends to vigorously defend itself against these allegations".